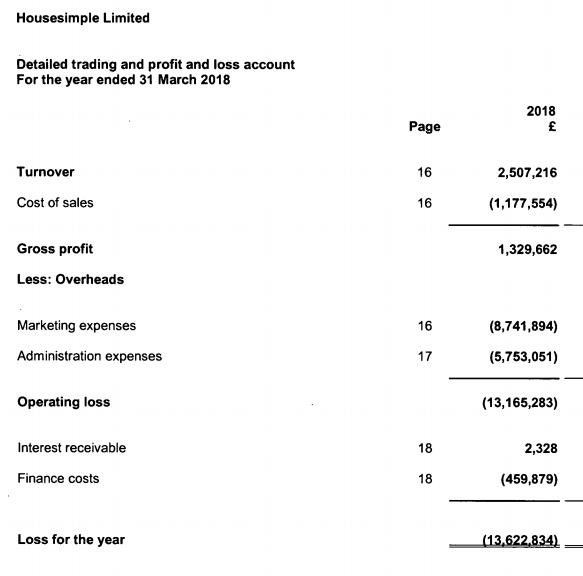 Housesimple, the online agent heavily backed by Carphone Warehouse founder Sir Charles Dunstone, lost almost £13.5m according to its latest accounts. The accounts, signed off in May 2018 but only just filed at Companies House, cover the year to the end of last March. The documents state that lenders who backed the business to the tune of £17m just over a year ago “do not currently intend to recall those loans”. However, the accounts cast doubts as to how they could be repaid if the debts were to be recalled. Dunstone and another backer, Toscafund, have registered charges. The latest accounts show that the loss for the period, after taxation, amounted to £13,497,576, up from losses the previous year of £9,801,183. Pre-tax losses were £13.6m for the year to last March. For the second year running, there were no dividends paid or proposed. The document also says that since the end of March 2018, the company has received £2.5m by way of loans, plus further investment of £1.5m. The company had already received £15.5m in loan notes from July 31, 2017, to the date of the signed accounts. The accounts show turnover of £2.5m, up from £2.2m the previous year, but with an escalating cost of sales: £1.2m in the year to last March, compared with £915,000 the year before (note: these are rounded figures). The documents state: “The Board have prepared forecasts for the period to 31 May 2019 which indicate that the company can continue to trade within its cash resources for the twelve months following the signing of these financial statements. “Furthermore, the holders of the loan notes negotiated in December 2017, totalling £17m, have advised that they do not currently intend to recall those loans in the 12 month period following the date on which the financial statements are signed. The documents say that the average number of employees for its last financial year was 93, up from 59 the previous year. Its marketing expenses were substantial – £8,741,894 in the year to last March, up from £7,460,155. This was despite cutting its press and Tube advertising entirely, and reducing TV advertising from over £2.8m to under £500,000. Dunstone and his business partner Roger Taylor backed HouseSimple to the tune of £5m in 2015, and then led an investment round in 2016 which chipped in a further £13m. Dunstone was then among a group of investors ploughing in what was reported to be an extra £20m in December 2017 – although the latest accounts refer to £17m in loan notes that month. That same month, it was announced that founder Alex Gosling was moving to the position of president, to be replaced as chief executive by Sam Mitchell, who duly joined in January 2018 from his previous job as head of lettings at Rightmove. There are four charges outstanding against the firm according to Companies House – Sir Charles Dunstone has registered three of them, and Toscafund – which also backs easyProperty – the other. Altogether, EYE calculated that Housesimple as of last February received £33m in backing, but this would have been before the further loans and investment mentioned in the latest documents. Yesterday evening, Housesimple had 712 available sales properties on Rightmove. dudda dum dum dum, another one bites the dust! Keep is small and turn a profit. Quite heartening to know that all us independents can make a profit while billionaires who are supposed to know what they are doing , are losing millions. Goes to show that this billion £ industry is really worth about 20k a person. I.e. no money in it . 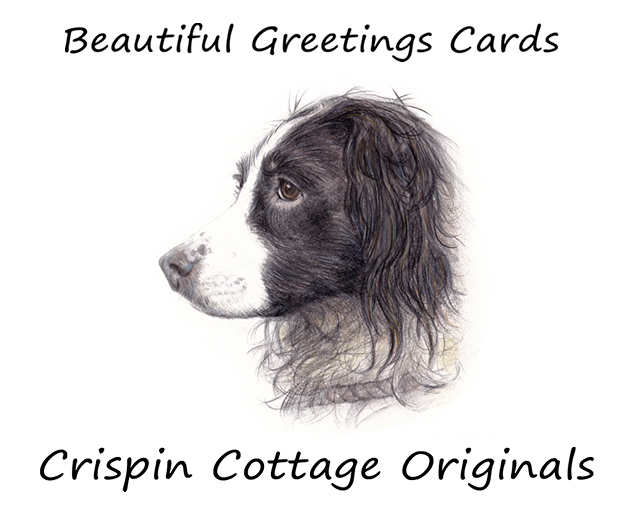 It’s a cottage local industry. No more then that. The purple ones next please! You really, really have clue not one as to the concerns that the “many of you” you refer to have over this agency model. Who in their right mind would continue to invest in these Online schemes? If the biggest advocate of call centre agency PB can’t make it work with the incredulous amount of millions of investors money thrown at it, what don’t they get? All these people that thought they could rush to gain size and turn a huge profit…costing them a packet now. House Simple be gone this time next year It just shows the vast investment needed in this part of out sector to compete with proper estate agents. PB have chucked in god knows how many hundreds of millions and are still losing money as a company overall. With a turbulent year ahead, these companies may as well knock it on the head now. *EDIT* – interesting that the listings figure in this article differs from the “independent” article yesteday which claimed HouseSimple had over 1400 listings. Without profits, growing in size without quality operating profit results in another version of size. .Not quite what was intended. Their fee is stated at £995 INCLUDING VAT – nett £829.17. 16430 PAID FOR listings will bring them £13,623,263 – a ‘profit’ of £429. To achieve that (without upselling ‘Optional services’) they TO COMPLETE 1370 SALES per month – 316 per week. Well done to them in finding employment so quickly and let’s hope for their sakes it’s not a question of jumping from the frying pan into the fire. They should get real jobs. Charging people upfront is unethical . I think it’s a question of taking what is available. Some of the Emoov experts have landed back in the High Street .Some still seeking employment and one of their experts in the Midlands has left the profession completely and joined Parking Eye ! House Simple are no sale no fee Bless You. Some of the lot that didn’t make the grade or didn’t want to be “we will find alternative employment for” when Connells closed Hatched have also signed up and are crowing from the rooftops about it not seen any posts this morning! Oh wait, no….just another failed attempt to revolutionise high street agency with a bunch of inexperienced fools. PB next, only a matter of time. They’ve just handed out some more shares today, to another bod who they presumably hope can make a purse from the sow’s ear. Yet they have spent nearly 9 million on marketing – staggering! How do you lose a MILLION POUNDS a month??? Jeezus!!! As always, I feel sorry for the customers but mostly for the poor hard-working staff that are now looking over their shoulder…. If it’s not my money I reckon I could have a pretty good go!! Nothing to see here folks, nothing to see. Happy New Year! Music to my ears, the tide is well and truly turning…..
Beware the SEO or PPC consultant/company/portal/sortal who promises to bring you positions in search engines. What level of research did you do prior to this? Just out of interest. I have used Google PPC for over 10 years. Rewind back to 2007 and I could pay 15p a click and get results. Fast forward to 2018/9 and you’ll pay £1 for the same click with little results because there are too many people doing it. Organic produces results but don’t be led down the path by companies charging you £1k per month to get on page 1. Spend a few hours here and there brushing up and it will pay dividends. Is that who Vic Darvey is? I’ll take it as a ‘yes’. Burning 8 million on advertising and marketing! Never seen a board, had to admit already thought they had disappeared up their own balance sheet. Still, at least it means that there will be a headline in the press in a few weeks time along the lines of “house simple goes bust owing millions to staff and investors, directors set up new board recycling business and are crowd funding to raise 11 billionty pounds to promote”. Ceo comments “our recycling business will disrupt all conventional methods as we use local board experts to collect rather than relying on dustmen”! 2016/17 loss nearly £10m, 2017/18 loss £13.5m and stock is only 712 properties @ £995 (no mention of vat!) = £708,440 gross income BUT No sale = No fee with a generous abandoned rate of 25% = about £1/2m gross at best. Lol, if you think this is going to still be around for much longer. Someone has been spinning a yarn if any investor in on-line only thinks they will ever make any money … NOT ONE has and for a number of years. Investing in On-line only agency has to be one of the biggest scandals in investment this country has witnessed. It is also time RM stood up and enforced its contracts with these sites that are “Private sales listings”. Take a look at Housesimple web site! It is also time RM stood up and enforced its contracts with these sites that are “Private sales listings”. HS accounts are surprisingly detailed – Portal costs are up by 26% YoY! So don’t expect RM to intervene anytime soon. When most of these onliners go to the wall, where will RM look to recoup the lost income? “When most of these onliners go to the wall, where will RM look to recoup the lost income? mmm … let me think … US AGENTS because we are all sheep who are afraid to take risks on anything new. I have seen loads of stuff pop up on here that I have actually thought looked promising but what do we do – shoot them down before we even give them a chance. My pet hate however is when the headline says ” … is going to disrupt the industry” that’s when I switch off. Yet another Not For Profit organisation sent to revolutionise estate agency. Their losses of over £1 million a month added to Purplebricks losses of over £1 million a week plus the rag bag of other ‘disruptors’ probably make a combined loss of £1.5 million every single week for the online sector. Sooner or later someone clever will work out it doesn’t work. You would have thought so long before now. The media are looking the otherway. I think any business that makes a claim on how “big” it is should be legally obliged to make a profit before it says anything public. Why would anyone choose to deal with a company that is contriving to lose a million quid a month? It was about a year ago they blocked me on Twitter. They did not like me retweeting pictures of their own properties to them. I mean they were hideous and they hurt the eyes but it comes to something when quality control is passed out to other agents and they still do not want to hear about it. Did anybody watch ‘Dragons Den’ on Sunday? Two very attractive. well polished ladies approached the dragons to for £80,000 (i think that’s the correct number) in return they were offering 1.7% (yes that’s right 1.7%). In the previous year they had achieved £30,000 worth of sales. They believe in their exit strategy that the company was worth £30 million! The entire time i was watching behind the cushion cringing every time they spoke i couldn’t help but think this is how online agents act. Of course all the ‘Dragons’ shot them down. Debrah made the most interesting comment that they have no idea about values and just been exposed to big numbers and are now in essence buying their own BS. I watched this in shock! The thing is though – they had raised money at that valuation so their belief had been supported by someone! I think they mentioned 22 previous investors, so they probably went down the crowdfunding/friends/family route….and we all know how naive those investors seem to be!! A bit like Emoov’s pitch last July but more believable . In today’s world, people expect something for nothing, if too many people get nothing for something the largest pay whatever estate agency model shall ultimately fail. I totally get that these operations have big marketing budgets- that’s to be expected. But what makes them ‘unique’ and ‘viable’ is meant to be their low operational costs due to not having traditional offices and staff structure. If that’s the case why is this around £5.75m a year- that’s around 250 times our operating expenses- holy moly! Feels like a critical year for online- who’ll be left standing come December!? ” who’ll be left standing come December! ?”The niche sector, local and #hyperlocal agents who don’t have traditional office premises because they don’t need them. Agents who are respected and trusted to sell, let, auction or manage properties because of the service they provide not because of their fees are being heavily subsidized and are unsustainable. I might have this wrong but I watched an interview with Adam Day vs Chris Watkins on Youtube and in it I thought I heard Adam Day say they paid over £200k a month to RM for a special licence for onliners. Anyone able to verify if this is true? According to the detailed P&L – HS paid £514,208 to portals in 2018 an increase of 26% on 2017. The accounts published on companies house include a detailed P&L (p15-p18) which contain some interesting insights when comparing 2018 with 2017. Given that the new CEO only started in January 2018 you would expect him to be given a chance to turn things around, so will there be a complete u-turn back to TV/Radio advertising this year (ending 31 March 2019) ? Unless more money is pumped in, or there is a dramatic increase in sales, the future doesn’t look bright ! The accounts published show the turnover equivalent of a 10 office, 1.5 completions per week agency. If any agent who is finding it tough right now how would you fancy a £4300/month bill for Rightmove or to be losing £112,500 a month? How many of you have £21k premises rentals? Robert, do you believe that it may be anti-competitive to use £10s of millions of pounds of other peoples money to prop up a non-viable fee over so many years to try and buy market share at the expense of many agents who do not have access to such funds to defend their businesses? Not at all, Dunstone, Woodford, Caan, Tosca et all are simply having a punt, a very expensive punt on their ability to disrupt then dominate and subsequently profit from controlling the market they have disrupted. Their investments are a group-think bubble blowing competitions; who can blow the biggest bubble in the sector. The many agents they are attempting to disrupt will have a few years of discomfort because of the disruptors but if agents are geared up to be resilient to the ebbs and flows of the market they will soon adapt enough to overcome the disruption for long enough for the investment money to run out. When all this properly kicked off I remember posting on EAT what has turned out to be a spot on prognosis of disruption and which is now confirmed by the Housesimple accounts; the cost of disruption is far higher than the cost of having an office. the cost of replacing the 24hour- 365 day year in year out subliminal marketing of clients passing an agents office and seeing their Sold boards cannot be replaced at anything like the cost of windowed office whether that is on the High Street, a prominent route, a secondary or tertiary position. ‘Howsimple’ must these investors be? Hope you didn’t stay up ’til the wee hours just to post that one, rsvstu97!